As a prelude to Operation Kookaburra, Team FatBird’s 12-week proven marathon preparation program for Gold Coast Marathon 2019 (GCM19), a Running Clinic was organized by the Travel and Training Partner to GCM19. The Running Clinic aimed to provide insights and share experiences with the running community on how to race and experience #GoodTimes at this must-do marathon on every running enthusiasts’ racing calendar. 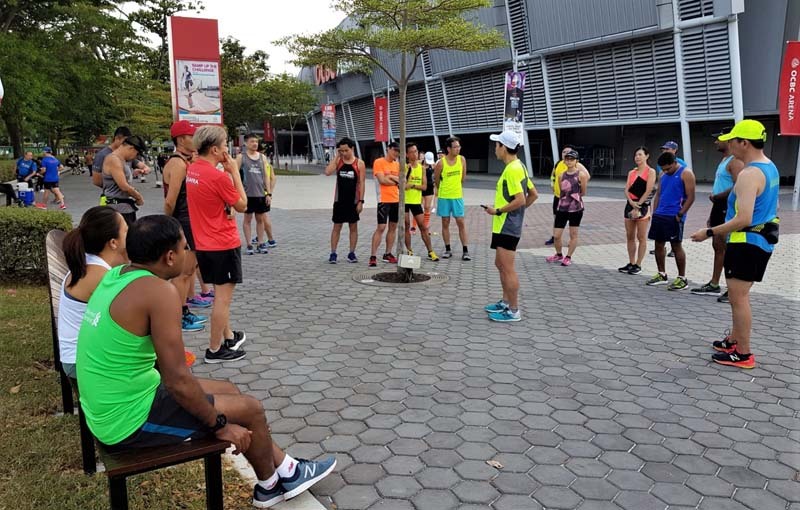 Participants turned up early at the OCBC Arena on Saturday evening to be welcomed by the team from Team FatBird and Scenic Travel. A briefing on the key features of Gold Coast Marathon, the special travel package and the structure of the Kookaburra Marathon Training Program were provided to the eager runners. Ops Kookaburra comprise of a proven structured training plan with focus on the key components of Marathon Performance – VO2Max, Lactate Threshold and Running Economy marathon racing. 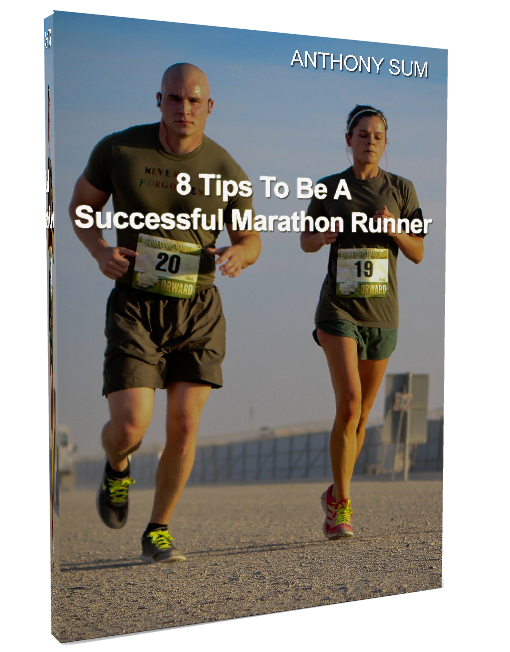 Ops Kookaburra will provide the complete guidance and advisory on how to race your best cool-weather marathon. The team will be led by experienced FatBird Trainers who have scored successfully at past Gold Coast Marathons. There will also be 6 group long runs to prepare GCM19 participants for the speed and strength endurance required to race to your Personal Bests and Boston Qualifiers. After the 30min briefing, a warm-up session comprising of muscle looseners and running drills were conducted for the Running Clinic participants. 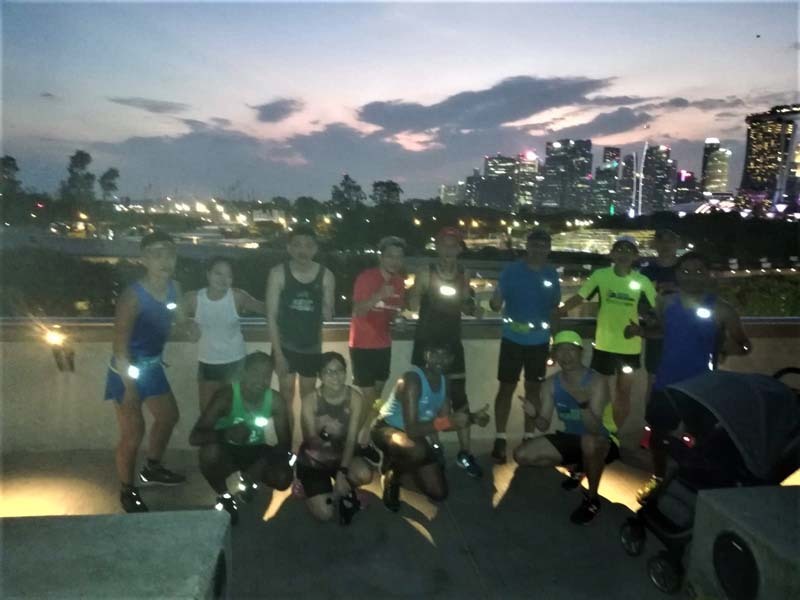 This was followed by a 90min long Progression run led by GCM19 trainers from Team FatBird to give the participants a flavor of the kind of training to expect. There were good exchanges between the trainers and participants on what to expect at GCM19 as well as getting to know the the participants’ concerns and aspirations for GCM19. 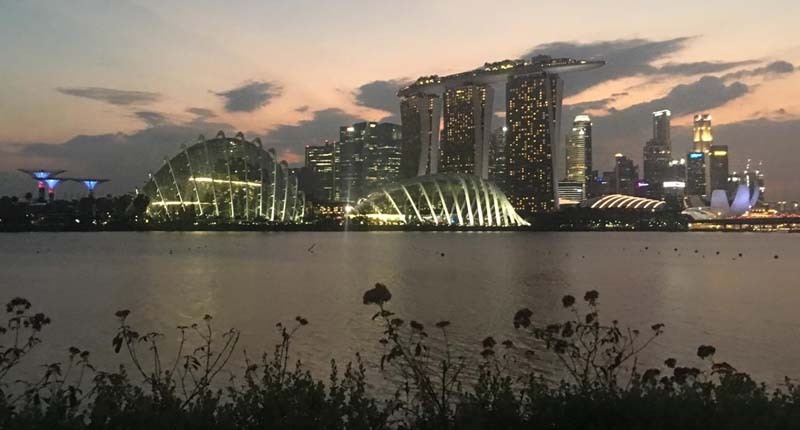 The cool evening run along Gardens By The Bay and Marina Barrage , which started off easy, was completed in a strong finish after a photo stop at the top of Marina Barrage. It gave a good sense and expectation on how the GCM19 trainees will be trained to race in even to negative splits when they tackle the GCM19 in July. A post-run debrief and sharing was conducted to touch on the participants’ running form, potential and how to achieve their race goals. Queries and travel arrangements were also answered by the experienced Scenic Travel agents to provide a smooth and enjoyable Runcation for the marathoners and their families. The feedback from the Running Clinic participants was very positive. Many are already priming themselves for the Ops Kookaburra kickoff session on 20 April. The Gold Coast Marathon Training Team is looking forward to a fruitful and fun marathon training and racing journey with all GCM19-bound runners. Run For Good Times @ Gold Coast Marathon! Unlock Your Personal Bests With Team FatBird!